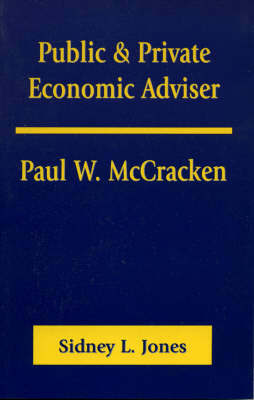 Paul W. McCracken was an outstanding economist whose career spanned the spheres of academia, business, and government. This book, written by Sidney L. Jones, Special Assistant to McCracken when he was Chairman of the Council of Economic Advisers to the President in 1969, has the advantage of both his personal perspective and access to McCracken's documents at the University of Michigan. The work examines economic policy adjustments, historical comparisons in preparing economic policy recommendations, the process of combining economic theories, and much more. Economists in the academic world, in business, or in politics will all profit from this remarkable book.